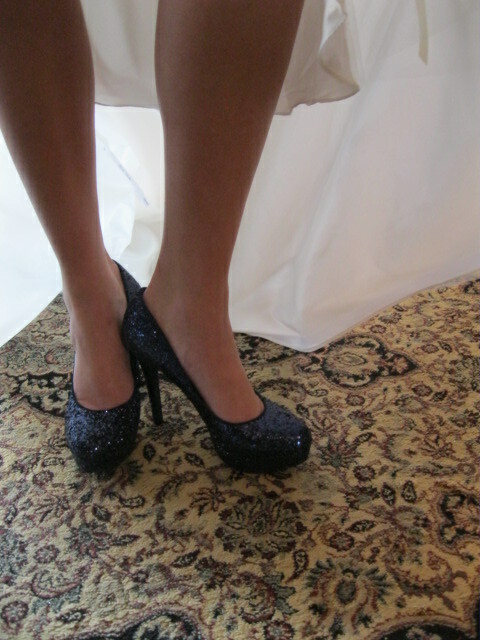 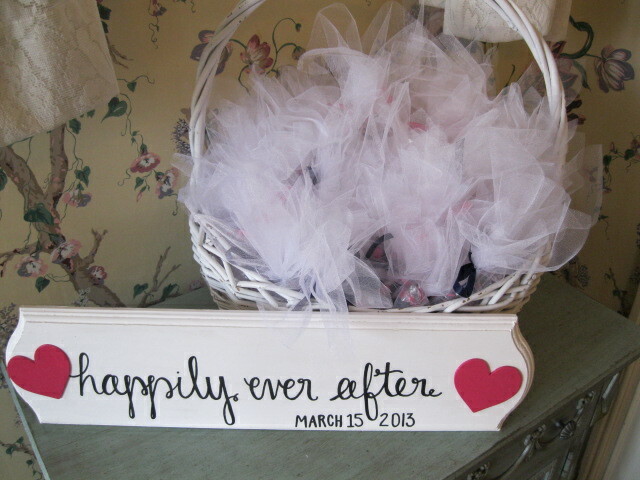 I love all the new ideas brides are getting from Pinterest. 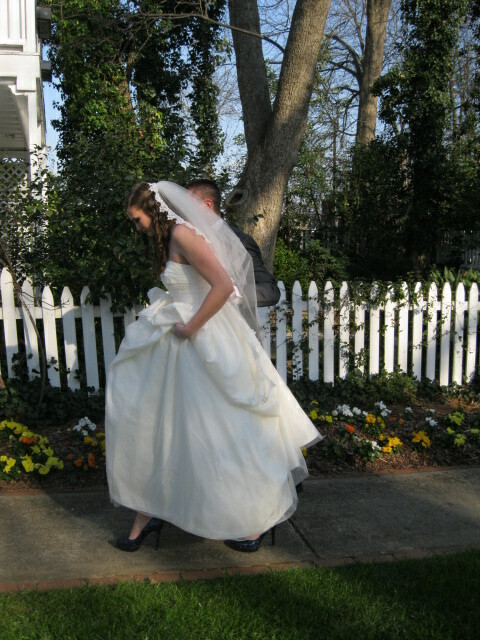 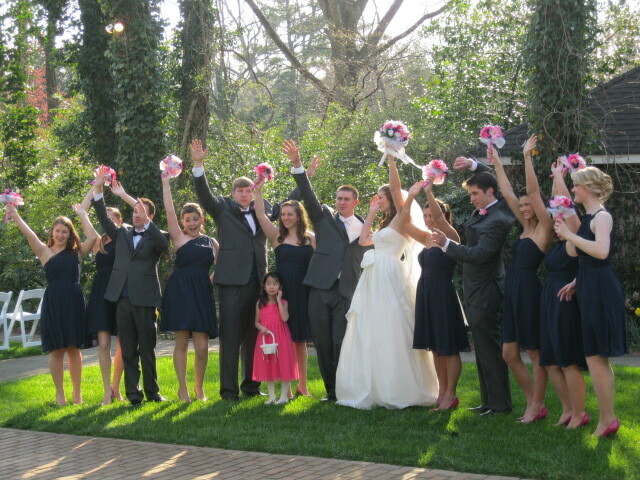 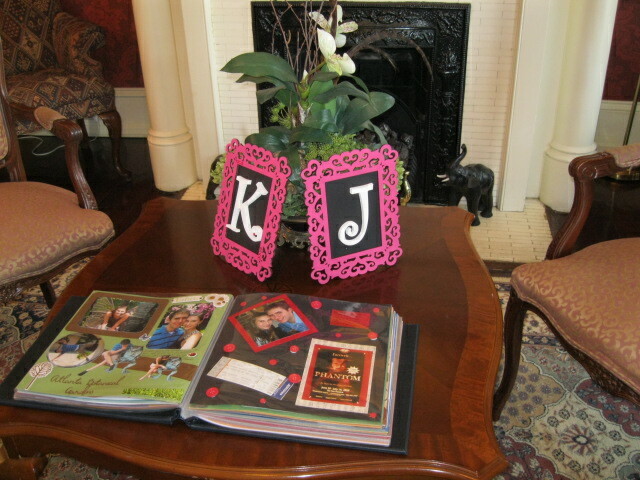 Our bride last week Michelle, said she found this guest book idea. 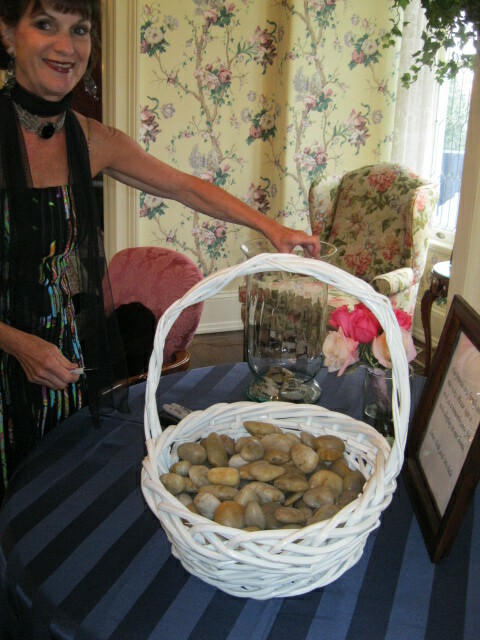 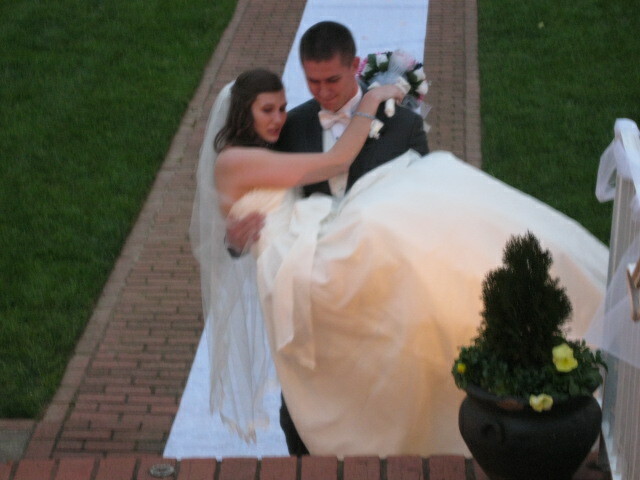 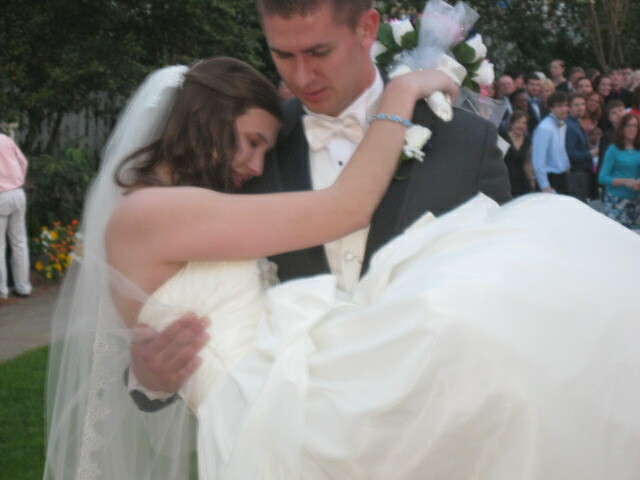 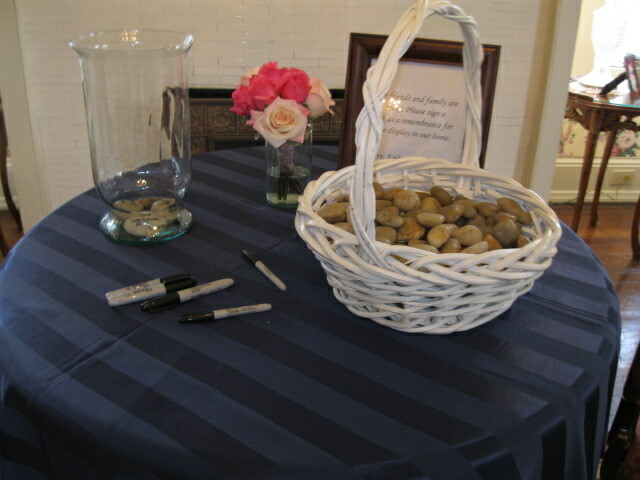 Each guest was asked to sign a rock and the bride is going to display them in a large vase in her new home. 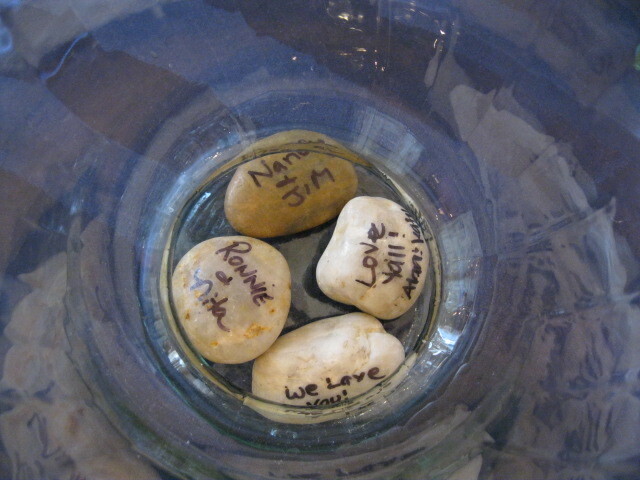 It was a lot of fun for the guests as they came into the reception, we just had to be careful not to break the glass vase. 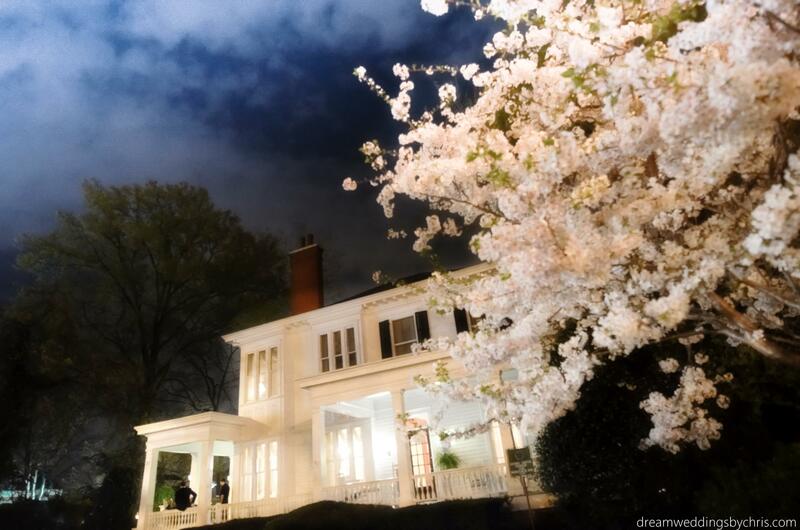 An evening in the spring with the cherry trees in bloom.